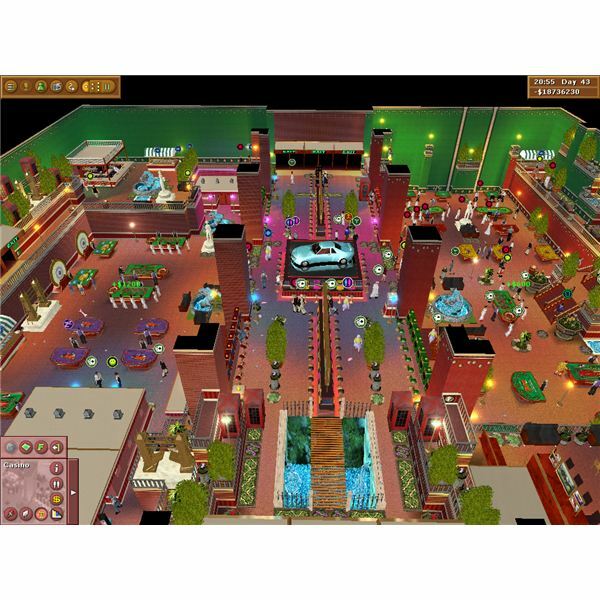 Vegas: Make It Big is a business tycoon game in which you can construct your own casinos, and your own casino resorts. 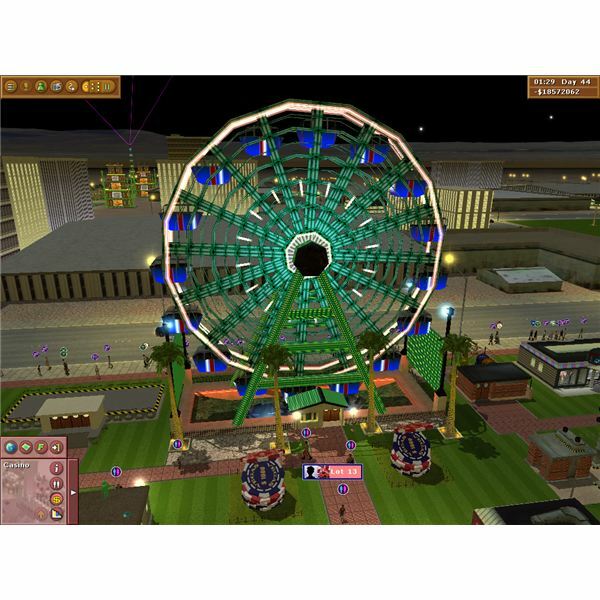 It’s perhaps the tycoon game to end all tycoon games with plenty of options for you to construct grand casino resorts and casinos that should leave your punters out of pocket. However, that will only happen if you ‘play your cards right,’ as any gambler would say, and in Vegas: Make It Big an effective business strategy will be required if your casino resorts are to prosper. Here are some tips to get an effective casino resort up and running in Vegas: Make It Big. Starting your first casino resort started is perhaps the most important part of the game. If this first casino resort starts to struggle then you won’t be able to expand, and may even have to start a new game if cash flow goes below zero. Firstly, you need to select a suitable lot which can come in various shapes and sizes. A smaller cheaper lot can be a better way to start because then you will have more to invest in the casino resort’s construction. As such, start with a small lot before progressing onto larger lots. After you have acquired your first lot then you can begin constructing your first casino resort. The first buildings you should build are the maintenance ones such as a head office, mechanic's department and cleaner closet, then hire a few cleaners and mechanics for resort repair work. These are essential things that all casino resorts will need to have. Construct these in a corner of your lot, and keep them close together so that they do not take up too much of the lot’s space. Then the other two things you should first invest in are a hotel and a casino. If your casino lot is small then a small hotel and a small casino will be most suitable for your casino resort. You should place the casino in a prominent position at the front of the lot, in either the left or right corner. 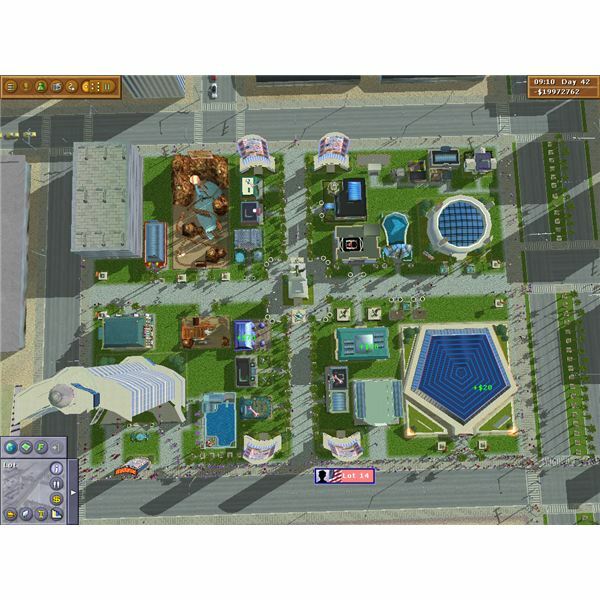 The hotel can then be placed in the opposite front corner, as in the screenshot below. However, you should also try to balance this out with some more generous odds as well if you want the punters to come back! As such, for lower stake casino games such as slot machines you can set more generous odds, and also select the lowest possible bet range for these casino games. As such, these lower stake casino games will not have much impact on your resort’s finances even if their odds are not much in your favor. If you have the funds available then it’s worth investing in a fully furnished casino template when you first build the casino. A fully furnished casino template will provide you with a fully designed casino with a variety of casino games and maintenance offices included. These are well designed casinos and will save you having to build the casino yourself. You can still make a few adjustments to these casinos as well if you feel they are required. Once you have built a full casino you will then be ready to begin constructing the surrounding casino resort! There are various ways that you can design a casino resort, and you should aim to make full use of your lot’s space. Multiple paths and entrances into your casino will make it easy for your visitors to reach all parts of the casino resort. As such, it is recommended that you set up a resort with a main entrance at the center front of your lot, and two or three further entrances at the left, right and back opposite the main front entrance. Join a few paths together for wider pathways that can then intersect at a central point in the resort. Take note of the casino resort screenshot below which is a resort that has been designed in exactly that way, with an intersecting cross of paths in the resort and multiple entrances at all sides of the lot. The main entrance to the casino resort should take advantage of promotional boards. If you have a large casino resort then large signs should be included at the entrance and along the front of the casino resort, possibly outside the casino itself or alternatively the casino’s hotel. Statues can also be good to have at the casino resort’s main opening entrance. large resort rides such as rollercoasters, arenas, and museums as these will better fill your lot than smaller alternatives such as arcades. Themed rides are also good to build at your casino resorts, as these will be unique to the theme of your casino resort. Alongside these you should also build a good mix of shops and restaurants that are well illuminated for when night falls. Remember that you can also rotate buildings by pressing the space key when the building is selected. The pricing that you set for the various rides and shops at your casino resort should be a little higher than the average price; as such, somewhere between the average and maximum price. As a final tip, you should also consider building electricity generators and water treatment plants somewhere on your lot. This is because that for all the grass, trees & plants, lights etc that are added to your casino resort your business overheads are increasing. You can check what these overheads amount to by selecting the park and then the info option. One of the best ways that you can reduce these is to add electricity generators and water treatment plants that will then reduce your water and electrical overheads. Build these in a corner of your lot away from the main casino resort. Just follow the above guidelines and you can build a great and financially sound casino resort. Build your maintenance offices, casino and hotel first and then the rest of the casino resort can follow. When you have completed the casino and resort it should be something comparable to the casino resort screenshots above.